Very shortly after joining that hale baying website I realized that I may need to expand my dating horizon a bit. The selection of farmers was not what I had thought. My sister had a theory that it could be because I joined just before Harvest. She was probably right. I had heard about this other free website where there were numerous fish so decided to also give that a whirl. Going fishing, I met the guy who would be my first date Josh*. His first message to me was beyond perfect “What is your favorite Disney movie?”. Now to a girl that cries whenever I go to Disney World and see the castle… it was hook line and sinker! I replied back Brave because golly geez can you really beat a story about a brave ginger girl working on a relationship with her Mom?! He said the Lion King. I thought this was a good choice… a good balance of manliness and a touch sensitive as well. I need a good balance, either one in too much of a direction makes me very uncomfortable. Nothing is worse then a guy with eye sweat when you are not sure what the big deal is? Afterward I thought, I don’t know what I would have said if he would have said Cinderella? Truthfully, without a good explanation that includes a last wish or memories with grandma, I’m not sure this blog would be about Josh. After about a week of texting he finally asked me out on an official date! I was beyond nervous. I hadn’t been on a date with anyone else in over 14 years so the idea of dating again was terrifying. I thought hard about my look and what I would say. I could literally feel the sweat dripping from my hands, luckily it wasn’t my pits. My first date in a long time look. You can see the terror in my eyes. We decided to meet at a local mom and pop restaurant that he took his mom to a lot. LL- Probably shouldn’t take your date to a restaurant that reminds you of your mom. I’m just saying you want to feel feelings and that could be hard when you have images of mom wiping your face with spit. I hadn’t heard of the restaurant and after walking in I realized why, I’m under the age of 50. I am not sure that anyone else was. I wasn’t going to judge though, I figured we would both be nervous so if he felt comfortable here then I can figure it out. Plus, I’m sure their prices would be low! So, I arrived early because I always do to ensure that someone doesn’t see me get out of my car. Now I should have known that I am a very audible person. I love singing and dancing to music and have been told I have Mom ears. I know it’s hard to describe his voice but it sounded like what I imagine a mushroom to sound like from Mario Brothers . A little like Mario or Luigi but without the Italian accent. He kept saying the right things! It was like we had just taken off from our text messages, but all I kept thinking was “Jill! Pay attention to what he is saying! Stop imagining him popping out from a brick block!” Which of course gave me the giggles. 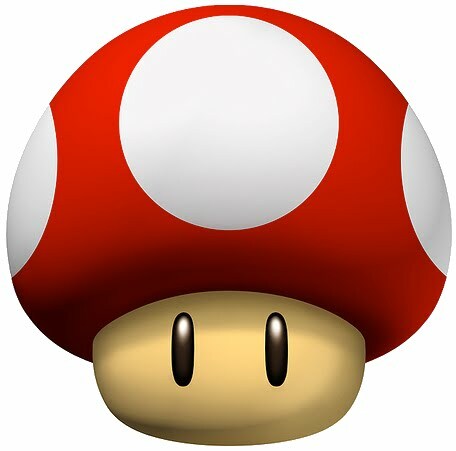 I know somewhere there is some cartoon with a Mario mushroom talking, honestly, I don’t need to hear it… I already have. *Real name is not Josh… changed to copyright his voice later on for a Mario commercial of some kind. I don’t want voice poachers trying to take over my territory. Previous How the Hell Did I Get Here? 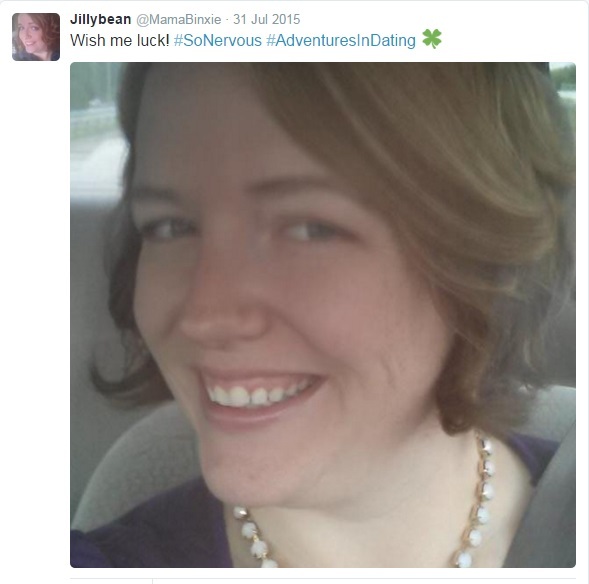 Next How Long Does it Take for a Bad Date to Self-Destruct?